Mackay Texas Historic Mackay, and A.P. and Marie Borden. Onishi Family � "In 1885 another railway depot was established in Mackay by the New York, Texas and Mexico Railroad and was named after the son-in-law of Colonel Hungerford. 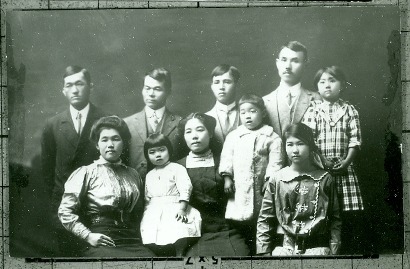 The Onishi family worked the rice fields in the Mackay area." John W. Mackay, Nevada silver mining millionaire invested in the New York, Texas and Mexican Railway (The "Macaroni" Line) and had this station named after him in 1881. Telferner, Louise, and Inez were likewise named after family and investors - mostly family. The rails of the NYT and M railroad were taken up in the 1980s, although the former roadbed is still evident. Victoria, Texas has recently launched a "Macaroni Festival" to commemorate this short line railroad that didn't originate in New York and never came remotely close to Mexico. 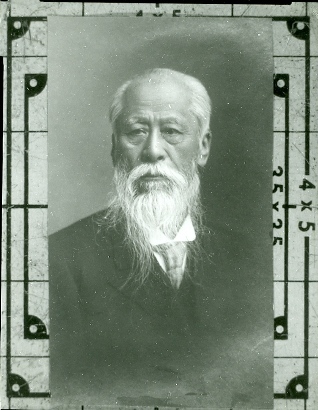 Baron Morimura � "Baron Ichizaemon Morimura IV was a banker who invested in the Japanese farms near Mackay. Baron Morimua IV, was the founder of Noritake Inc."
The town of Mackay fell within boundaries of "Shanghai" Pierce's vast holdings and the land became part of A. P. Borden's property through inheritance since Borden was Pierce's nephew. 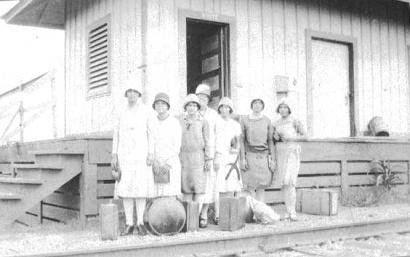 Russian and Chinese laborers were imported to work a Department of Agriculture experimental farm in 1907. The government agronomists had thought camphor trees would thrive in the coastal climate. Today two cemeteries of the workers are the only reminders of the experiment. Borden built stores in both Pierce and Mackay. 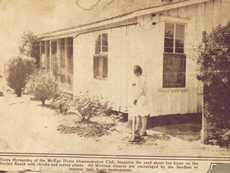 Houses were built for employees as well and many of these - although greatly altered from the original models - still stand today - covered in poison ivy. A school (1912) is the most distinctive ruin due to its orange tile roof. 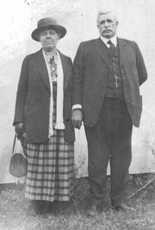 Mrs. Borden taught Sunday school in Pierce in a church that she had her husband build. 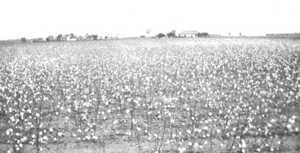 Borden retired from the Pierce Ranch and started farming on his 5,000 acres. After Borden died in 1934 the ranch and buildings were sold to oil wildcatter Johnny B. Ferguson. Mackay reported a population of 40 in 1940. Ferguson struck oil in 1949 and his Superior Drilling Company offices were housed in Mackay's former store. 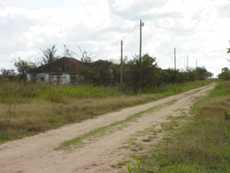 After Ferguson died in 1978 the area reverted back to nature and by 1990 the houses, store and former school were abandoned to wild vines, tall grass and tallow trees. My 6 siblings and I were all born in Mackay, TX between 1917 and 1934. My dad and mom, Candelario and Manuela Hernandez had a special relationship with A.P. and Marie Borden and often had them in our home for a Mexican dinner or morning coffee and "pan dulce". (1), in addition to the Russian and Chinese immigrant workers, there were a large number of Mexican families working the Borden Ranch. (2). 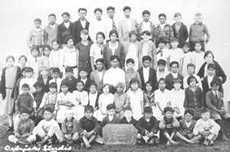 All my siblings and several uncles and cousins attended the elementary school on the ranch.